July 11, 2016in News, WallsNo CommentsHow to Build Fences Properly? Fence is essential for our house and it could serve multiple functional purposes. As an example, fences is a containment for children and pets. It could help to provide barrier against weather and sunlight. It is also useful for decoration and privacy purposes. 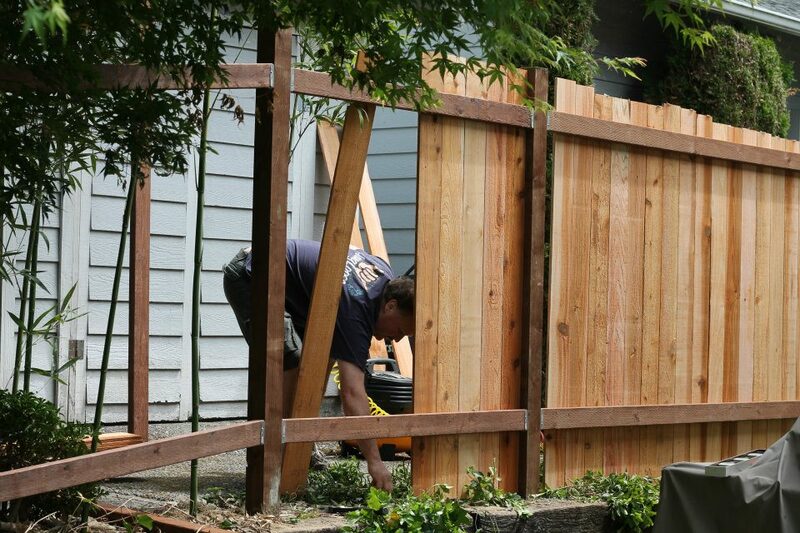 The design of fences is limitless and we could actually get great ideas by looking at fences at other people’s houses. However, when constructing fences for the first time, we should contact the local residential association, so we won’t violate any kind of regulation related to fence constructions. First of all, we should have a proper layout for our fences. In general, we could install poles in the probable areas where we want to install fences. Then, we could stretch pieces of strings between them. This should allow us to have a proper guideline where we should install the posts. In this case, we should make sure that fences have the proper angles. This should be a really simple method to implement, but if we get this right, we should be able to properly set up our fences constructions. We should have a map to define spots where our fence should start. There are different fencing materials and they determine the length between each post, because each material has different strength. As an example, the distance between posts can be about 1.5 meters. We should be able to use measure the length of the string to determine where we should put the next post. In this case, we should have a proper tape measure. It is possible that the distance between posts will fluctuate a bit, but we should still be able to maintain pattern and regularity. In general, the string should remain perpendicular to the wall of our house. It means that the fences are simply an enlarged version of the shape of our house. However, the shape of our fences is generally determined by the shape of our land. It is quite possible that our fence will go down the hills. In general, we should determine the material of the fences to ensure that it would have the right kind of sloping properties. We should also estimate the height between the highest and lowest points of our properties. Slopes would increase the amount of fencing material and time spent to create the needed shapes of the fences. After we have determine where posts should be located, it should be the time to dig holes. There are tools that we can use to perform this task and one of the most effective the clamshell digger. The holes should be deep enough so posts would stay firm. We should know where we should set post and once we determine these spots, we should put gravel at the bottom of the posts at about 35cm thickness. This will make sure that posts will remain fixed in the hole. Gravel also helps water to be absorbed to the soil below. The next thing, we may use sand, cement and water to set up posts.